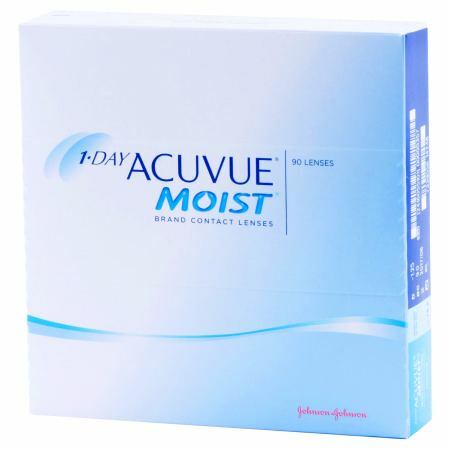 You can’t talk about 1-day lenses without Acuvue Moist and Acuvue TruEye popping up. They are two of the most popular contact lenses around. You can tell by the thousands of ratings and reviews. However, what sets them apart? And, more importantly, which one is the best suited for you? They are obviously from the same parent company. They’re manufactured by the renowned Johnson & Johnson Vision Care, Inc. As such, you can trust them for quality. Acuvue Moist has been around for longer, having been released way back in 2001. On the other hand, Acuvue TruEye is pretty young. It’s been in the market for a shorter time, having been released in 2008 in UK and later on in 2010 in the US. Acuvue TruEye was the first silicon hydrogel lenses made for daily disposal. Using Hydraclear technology, a remarkable wetting agent is combined with silicon hydrogel polymers, known for their oxygen transmission. In fact, TruEye has an oxygen transmissibility of about 118 Dk/t. That can be said to be literally 100% corneal oxygen consumption. What is the essence of this? It makes for moist lenses that feel natural. It also increases the moisture retention capability of the lenses. This means you can forget about dry eyes and discomfort. When you turn over to Acuvue Moist, a different approach is used. Unlike TruEye, the lens material of Acuvue Moist is ionic hydrogel. This is layman’s language for Etalfilcon A. The Lacreon technology used forms a cushion of moisture, kind of like your tear film. Why? This is to enhance moisture levels and reduce friction. However, it does have the lower oxygen transmissibility of close to 33 Dk/t. Both contact lenses are for daily use. This means that you use a fresh new pair every day, which naturally provided optimal comfort and convenience. FDA has credited Acuvue Moist with enhancing comfort amongst those with eye itching and mild allergic discomforts. This comes as good news for the millions of people out there who suffer from allergies. In addition, the contact lenses have a blue visibility tint to assist you make them out in their packaging. People nowadays are more and more concerned about UV radiation, and want lenses that can shield them. Acuvue Moist lenses do just that, blocking out an impressive 82% of UV-A and 97% of UV-B radiation. 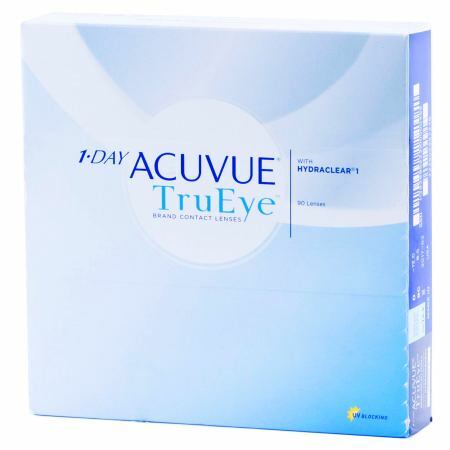 Acuvue TruEye is designed to maintain a natural ocular environment. The goal is to make you forget that you even have the lenses on. It also comes with a blue visibility tint. When it comes to protection from radiation, TruEye contact lenses register a remarkable 96% and 99% blockage of UV-A UV-B radiation respectively. Both lenses come packaged in both 30 and 90 lenses per box. You get to choose which is most convenient for you. Acuvue Moist goes for around $89 USD per 90 lens-pack box. The similar 90 pack TruEye package goes for $115 thereabouts. The packs containing 30 lenses each costs less, but follow the same pattern. Costs also vary depending on where you buy your product. Note that these prices are at retail outlets. You can choose to purchase the lenses from trusted online sources and score yourself massive discounts. The cheapest vendor I found is discountcontactlenses.com because they offer free shipping as well as coupons and have a best price guarantee, which means they will match any price you find anywhere else. Click here to see their Acuvue prices. Before making your purchase, ensure that you have spoken to your doctor. This is to determine what’s best for you. You only have two eyes, and you should be very careful to protect them.